Part of what makes metastatic colorectal cancer so difficult to manage is that it comes with multiple genetic mutations, expressions, and amplifications, such as tumor sidedness and location. And while recognizing that these distinctions can be challenging, the good news is that they offer essential clues into which treatment option is best for each metastatic colorectal cancer patient, and that’s what we’ll be exploring today. This is CME on ReachMD, and I’m Dr. Scott Kopetz. Joining me today I’m pleased to have Dr. Sobrero and Dr. Xu to discuss 2 patient cases. I welcome you both. So, let’s jump right in to our first patient case. This is a 58-year-old male, a truck driver, weighs 115 kilograms. Over the past 3 months, he’s lost about 10 kilos, or 22 pounds, and complains of stomach pain, some diarrhea and loss of appetite. There is a palpable mass on the left side of his abdomen, and further imaging reveals a mass over the sigmoid colon and 3 bilateral liver metastases, and these have a maximum diameter of 3 centimeters. He has 6 bilateral lung lesions as well. Maximum diameter of those is 1.5 centimeters. Endoscopy confirms a noncritical sigmoid stenosis and adenocarcinoma on biopsy. His treatment team decides on systemic therapy. So, Dr. Xu, now that we have this background, what first-line pharmacological option would you go with if this patient was found to be RAS wild-type and BRAF wild-type? Thank you for inviting me to have this interview and discussion. So, for this case, we should define the goal of our treatment. I think this case now has disseminated disease in the liver and in the lung, so that means it’s an incurable disease. This is because they have several metastatic disease. We cannot resect all the tumor, so that means that we have to go through with a goal for the prolonged survival endpoint of our treatment. So, consider for this situation we can choose the chemotherapy plus the biological agents. For the chemotherapy, we can choose FOLFOX, CAPOX or FOLFIRI, so any of those 3 regimens are proper for this patient. It depends on the biological profile. So, if the patient was RAS wild-type and the BRAF wild-type—and also, this is the left side of the disease—so maybe at this moment one of the best options could be chemo, chemo plus cetuximab. Maybe this is the best because we get some of the literature, the data, like the FIRE-3 or CALGB, so now for those cases, the patient has the longest survival chance like the chemo plus cetuximab. And turning to you now, Dr. Sobrero, if this patient was RAS mutant, would this change your approach? Well, in the case that the tumor was RAS mutated, of course my approach would be completely different. In that case, of course, the anti-EGFR are contraindicated. I would never use an anti-EGFR in this condition. As a biologic, I would choose bevacizumab, and I would be uncertain whether to use a doublet or a triplet chemotherapeutic regimen as companion to bevacizumab, but my choice would be – my personal choice would be a doublet plus bevacizumab. I would be even more worried about this case, just in case he was RAS-mutated, because the overall outlook for this patient would be worse, despite the fact that it is in the left side of the colon. Now, Dr. Xu, there are plenty of treatment guidelines out there from the European Society of Medical Oncology, or ESMO, and the National Comprehensive Cancer Network, or NCCN, and other regional organizations. Could you walk us through what each of these guidelines recommend when treating left-sided metastatic colorectal cancer? Yes, so maybe in the NCCN guidelines. So, most biological agents are recommended for this type of patient, like the left side RAS mutant, the wild-type, so you can use one of those chemo, bevacizumab as first-line or chemo plus cetuximab for this type of case, but in the ESMO guidelines, maybe they more refer or recommend for the cetuximab combined chemotherapy in this situation, so a little bit different. But in both of the guidelines, the recommended combination of the chemotherapy plus both biological agents or maybe in the ESMO a little bit more strongly support the cetuximab, combination. In the Asian areas, both of the combinations are recommended. Of course, maybe a little bit for the left side RAS wild-type in China, so a little bit stronger combination with the cetuximab. For those just joining us, this is CME on ReachMD. I’m Dr. Scott Kopetz. And joining me to discuss clinical decision-making in metastatic colorectal cancer are Dr. Sobrero and Dr. Xu. So, earlier we talked about how left-sided tumors can guide your treatment approach. Now let’s take a look at right-sided tumors. For this next patient case, we have a 27-year-old female with an up-and-coming career in advertising and no family history of colorectal cancer. She weighs 61 kilograms, or about 135 pounds, and complains of fatigue, weakness, and occasional sharp cramps on her right side. She has a mild anemia on her blood tests, and further imaging shows a large mass on her ascending colon and 4 large lesions ranging from 3 to 6 centimeters in the right liver segments 5 and 6. An endoscopy shows a noncritical stenosis and adenocarcinoma. And similar to our first patient case, her treatment team decides to go with systemic therapy. So, Dr. Sobrero, now that we have all the details covered, what first-line pharmacologic options would you choose if this patient was all RAS wild-type and BRAF wild-type? Okay, I would be extremely worried about this case because she has massive disease both in the primary site as well as in the metastatic site. Although, I really hope for this young lady to be able to go down the avenue of potential curability because she only has four lesions in the liver, and actually the four lesions are in segment 5 and 6, which are sort of a “piece of cake” for any liver surgeon. Meaning that it is very easy – they are very easily removed. So, I’m surprised to see that the team decided to go for systemic chemotherapy first without consulting a surgeon; however, because she is symptomatic and the lesions are between 3 and 6 cm, I would be also worried to submit this patient directly to surgery. So, I would have chosen, anyway, chemotherapy systemic therapy as well. Which systemic therapy and bio therapy? This tumor is on the right, which worries me because right-sided tumors of the colon live about 10-14 months shorter than the left-sided, so extremely worried on this case. And I have two or three potential choices here. This case is RAS wild-type, so I may still consider the anti-EGFR, either panitumumab or cetuximab, along with a doublet, say FOLFOX or FOLFIRI. The reason for this being the fact that the anti-EGFR on the right side, although less efficacious, meaning impact on overall survival, are more active, meaning stronger impact on response, than bevacizumab. So, one first choice I could consider is a doublet plus an anti-EGFR, being RAS wild-type. I would expect 20% response rate more. However, because anti-EGFR on the right side are usually considered much less efficacious, not active, than bevacizumab, in this case I would prefer the second choice that I am considering, and that is a doublet plus bev. Actually, because she is 27, because she is in pain, is symptomatic and has massive disease, I definitely prefer the third choice that I could consider, and that is FOLFOXIRI, the triplet chemotherapy, plus bevacizumab. And if this patient was RAS mutant, how would this change your approach? If this case was RAS mutated, of course I would never consider an anti-EGFR here. If it was a RAS mutated, I would definitely go to the triplet, FOLFOXIRI, plus bev. If the patient responds, I would not treat this patient for longer than two months, but go directly to the surgeon, and if the surgeon would operate on this case, I would go for surgery and complete with FOLFOXIRI as an adjuvant treatment after, that is complete resection of the primary and the metastasis, given the site of the metastasis, segments 5 and 6. And, Dr. Xu, did you want to comment? So, if this is the mutant type, we could have used the chemo plus bevacizumab, but this case is potentially resectable. So, FOLFOXIRI, the triplets, may get better response rate even plus or minus bevacizumab. Dr. Sobrero, at this time I want to get your input on this aspect of our discussion. 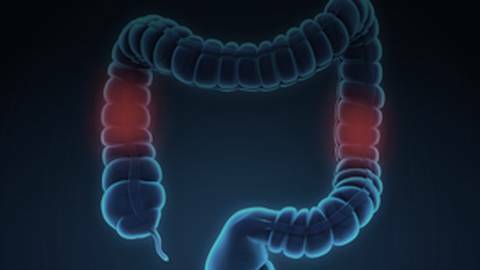 In taking another look at the guidelines from ESMO, NCCN and others, such as Pan-Asia and regional preferences, how do they reach recommend treating right-sided metastatic colorectal cancer? Again, they essentially give very similar messages. However, I’d say that the Asian guidelines match more closely the NCCN guidelines. They make a sort of dogma on the fact that anti-EGFR should not be given on the right side. Especially the latest NCCN guidelines, make a specific point in subdividing right-sided colon tumor into two subsegments – the ascending colon and the cecum - it is considered really not correct to be treated with an anti-EGFR. Whereas the transverse colon, it may be. So, the indication from the Asian and the NCCN is quite straightforward. Never, ever use anti-EGFR on the right. The indication of the ESMO is much more open and liberal, and in case of conversion, the fact that anti-EGFR affords an extra 20% response rate, they would allow combination of a doublet plus an anti-EGFR in case the tumor is all RAS wild-type. Dr. Sobrero, before we wrap up this discussion, what would you say is the most important thing to remember when you’re considering the sidedness of colorectal cancer tumors? Yeah, let’s wrap up all this. I would say that the number one thing that should be taken into account is the fact that right-sided tumors live approximately a year less than left-sided. So, we are talking about 35 months for left-sided and 25 months for right-sided tumors. Now, I would be quite open to the treatments, and that is why I also emphasize the fact that all the guidelines tend to converge, so it’s difficult to make a mistake. But the second message that, major message that I give is that it is important to identify the condition under which it would be a mistake to treat a left-sided tumor with an anti-VEGF, that is bevacizumab, and the condition under which it would make a mistake to treat a patient with an anti-EGFR on the right. And the first condition is having a tumor on the left side that needs shrinkage in a symptomatic patient. To me, using bev under those conditions would be a mistake. I would always use an anti-EGFR, either panitumumab or cetuximab. On the opposite, on the right where bevacizumab is usually recommended, if I have a case where shrinkage is not needed, using an anti-EGFR is definitely a mistake to me. So, number one, the different prognosis, and number two, it’s okay using the several combinations of chemotherapy and the different biologics that we have for our use; however, there are certain conditions where the guidelines should be respected fully. And, Dr. Xu, your opinion? So that’s a great way to round out our discussion on this subject. Thank you both for joining us today. So, in summary, we’ve discussed 2 cases with very different presentations on left- and right-sided portions of the colon. We have also learned that the role of anti-VEGF and anti-EGFR therapies may differ substantially, and this adds additional components to think about when choosing appropriate therapy for the right patient. Not only do we need to be considering the RAS and BRAF status of our patients, but now we need to be paying close attention to the tumor location and helping to make the optimal treatment decisions for our patients. For this I’d like to thank both of our participating physicians, Dr. Xu and Dr. Sobrero, for their insights and experience in discussing these cases. What can the location of a tumor tell you about which treatment option is best for your metastatic colorectal cancer patients? Metastatic colorectal cancer is difficult to manage and has multiple genetic mutations, expressions, and amplifications, such as tumor sidedness. And while identifying these distinctions can be challenging, they offer essential clues to which treatment option is best for each patient, as Dr. Scott Kopetz, Dr. Rui-Hua Xu, and Dr. Alberto Sobrero explain. Dr. Kopetz has disclosed he receives consulting fees from Amal Therapeutics, Biocartics, Merck, Navire Pharma, Roche/Genentech, and Symphogen. Dr. Sobrero has disclosed that he receives consulting fees from Amgen, Bayer, and Sanofi, and is a member of the speaker bureau for Amgen, Bristol-Myers Squidd, Merck, and Roche. Dr. Xu has nothing to disclose. Barry Fiedel, PhD has nothing to disclose. This activity is designed to meet the educational needs of Oncologists, Oncology Nurses, and Pathologists. Disclaimer: Some products discussed in this activity may not have received regulatory approval by the US FDA for the treatment of patients with colorectal cancer. The FDA has stated that “good medical practice and the best interests of the patient require that physicians use legally available drugs, biologics and devices according to their best knowledge and judgement”.